The Library Book is possibly the best nonfiction book I’ve ever read. This book isn’t just good, it may be Pulitzer good. Hard to imagine that a history of the LA county museum and the fire in 1986 (a year before the Fort Bragg Library fire) could be so interesting. Extremely well researched and very well written, I now have to look at her other books. Nothing by Annie Barrows is about two fifteen-year-old girls, Charlotte and Frankie, who think their lives are boring, but their story is hilarious, capturing the weirdness of everyday life. Barrows parodies the YA novels where tragic things happen to the main characters, sometimes one right after another, but she shows the pain and stress of friends changing, growing apart, and then reuniting, while families can be loving and annoying. Recommended particularly for girls 13 and up, although anyone who reads contemporary teen novels might get a kick out of this one. This book is 90% responsible for my UCSC failure. This is my favorite book in all the world, though I have never read it. I am still stunned by this film. Watch it. Cry. Then watch it again. Abandoned by her family at a young age, Kya Clark survived on her own in the marshland of the North Carolina coast. She was content on her own until the time came when she found herself yearning for companionship. This is the story of a coming of age, the loss of innocence, a shocking murder and the beauty of wild nature. Delia Owens succeeds in painting the emotions and all the beauty of the marshland with her words in this, her first novel. I eagerly await her second, her third, and so on. OMGoodness! This is such a fun book! Groovy Joe settles in to enjoy his favorite thing, Lucky Dog Ice Cream, when in crashes a little dinosaur who puts on a bib, takes out a spoon and demands to share Joe’s ice cream. Check out this book to see how Joe handles dinosaur invaders who want to share. I read this to a group of 3 year-olds and by the end they were singing and dancing along with Groovy Joe. It’s a real treat! Jack Aubrey and Stephen Maturin, veterans now of many battles, return in this novel to the seas where they first sailed as shipmates. They are off on a hazardous mission to the Greek Islands. In the first book of the Circle Trilogy, we meet Hoyt, a sorcerer who has lost his twin brother to the vampire Lilith. Just when he’s lost all hope, the goddess Morrigan tasks him with saving the world. Now Hoyt has to interpret the prophecy and find the rest of the fated circle who must come together in order to stop Lilith and save the world. Clary Frey is an artistic eighteen-year-old with a bright future at the Brooklyn Art Institute. She has a loving mother and a spirited best friend named Simon. However, in one night, Clary’s entire life is turned upside down. Clary finds out that she has the sight. She’s able to see shadowhunters, who protect the mundane world from the downworlders (vampires, werewolves, demons, and the fae). She finds out that she has a more complex past than she ever realized, and that she is far from mundane. This is the first book of the Mortal Instruments series. A dystopian tale I am willing to recommend: The statistics line up, the infrastructure has a reason for its uselessness, and the girl saves herself. Watch it just to sing along. This book is an absolute page turner. I had five library books while reading this book and all but this were neglected. In 1968 I went to the L.A. area (Santa Monica) and the feel from this book which takes place in 1967 is really authentic. It’s really scary to contemplate how Mr. Mosley researched this book. It is gritty and filled with menace. I loved it and you could too! Enjoy. Celestial and Roy are newlyweds trying to get through the ups and downs of their first year of marriage when Roy is sent to prison for a crime he didn’t commit. This is an insightful look into the lives of three people whose love was the center of their lives until the separation became too deep to hold on. Great storytelling from a fresh new author. Twelve year-old Flavia de Luce is back, this time as a professional private investigator. Along with her father’s old friend, Dogger, she sets out to discover a killer and the origin of a severed human finger that had found its way into her sister’s wedding cake. Another fun, easy read from Mr. Bradley. I can’t wait for the next! When the other eggs in his carton behave badly, the good egg feels like he needs to be perfect. This is a story about balance and learning to take care of oneself. By the author of The Bad Seed. Extremely interesting book about the history of the art in the Louvre and how the staff have struggled to protect it from danger. The author does a great job of historically telling the story of the art during WWII and keeping the story and characters interesting. Great read for anyone interested in history, art, and war. Any book by Sophie Kinsella is worth reading!! This one is a great read, really about family relations with great character interactions. Worth reading!!! The Fort Bragg Library have these DVDS and if you haven’t seen this classic Canadian comedy that was a staple on a lot of PBS channels then check out the DVDs. Hilarious and really helped bring to the public the wonders of Duct Tape. This is a must see!!! P Is for Pterodactyl is a funny, imaginative look at silent letters, and letters that get pronounced in surprising ways, with absurd full-color illustrations. This children’s nonfiction book is recommended for 2nd graders and above, although word-loving adults will get a kick out of it. Blue At The Mizzen by Patrick O’Brian. The excitement of the Aubrey/Maturin series soars to new heights in this volume as Captain Aubrey, again the daring frigate commander of old, stakes all on a desperate solo night raid against the might of the Spanish viceroy in Peru. Pack up your troubles in your old kit bag, and smile, smile, smile! The Travel Book is Lonely Planet’s invitation to the armchair traveler who longs to see the world. It’s a snapshot of the entire planet in 2018 with it’s publisher’s inimitable vibe. If you don’t mind dangerous destinations and your back-pack toting shadow is never far behind, this book is for you. If you’re used to more luxurious accommodations and safe travel, the book may still hold an appeal, sparking interest in exotic countries you’ve never thought of visiting. For the geography trivia fan, it’s a thrill to see each country’s people, map and natural beauty in a two-page spread. The main character, Diana Bishop, is a witch in denial. She wants nothing to do with magic, and finds solace in her job as a historian. Despite her fervent efforts to keep magic out of her life, Diana stumbles upon an enchanted manuscript that may contain the secrets of all the supernatural creatures of the world. Soon Diana is caught in the middle of a race to the manuscript. She meets an alluring vampire by the name of Matthew Clairmont. Together they begin unlocking the secrets of their heritage and past. Immortal beings secretly live among humans. Natasya Crowe is one of them. After a century of living an irresponsible life, Natasya is snapped back to reality when her immortal best friend callously tortures a human. Hoping to escape and find some guidance, Natasya checks herself into an immortal rehab facility. She meets other immortals who are learning to cope with their past mistakes, including an immortal named Reyn. More brooding and tortured than the others, Natasya can’t help being curious. From the author of Mr.Penumbra’s 24 hour Bookstore, while not as good as Mr.Penumbra’s , it was still worth reading. A fun venture into the world of tech/ bread/ San Fransisco cutthroat Farmer’s Market and the world of foodies. Robin Sloane does a great job of blending old school traditions and high tech worlds. If you like self-discoveries, family intrigue, trendy characters and books with bookstores as the setting then you will enjoy this book. The Terrible Two is a very funny book about two pranksters who start out as rivals and end up as friends. Throw in a school principal who comes from a long line of principals, and a bunch of facts about cows, and you’ve got a book that almost anyone, especially preteen boys, can enjoy. Two young women go missing while on holiday in Bangkok and the suspect is someone very close to the investigation. Once again, Fiona Barton, author of two of my favorite recent novels, The Widow and The Child, delivers a page-turner. OMGoodness, this one keeps you on your toes. I also recommend this author’s first novel, The Descent. 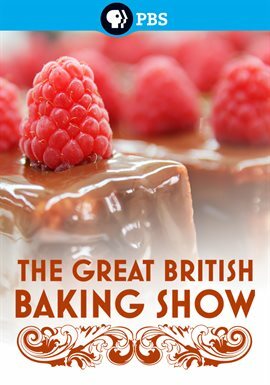 Binge worthy series pits amateur baking contestants against each other for the title of the UK’s Best. Each week, the bakers tackle a different skill, the difficulty of which increases as the competition unfolds. An unbearably tense, gripping tale of paranoia, sacrifice, apocalypse, and survival that escalates to a shattering conclusion, one in which the fate of a loving family—and quite possibly all of humanity—are entwined. A masterpiece of terror and suspense from the fantastically fertile imagination of Paul Tremblay. One of my favorite patrons told me this book was too psychologically scary for her and I had to read it and tell her what happened. So I did. It was absolutely fantastic until the very last line and then it was lame. LAME. But if you just don’t read the last line, you will LOVE this book. And maybe you will love it even if you read the last line, but don’t tell me, because I will roll my eyes at you. 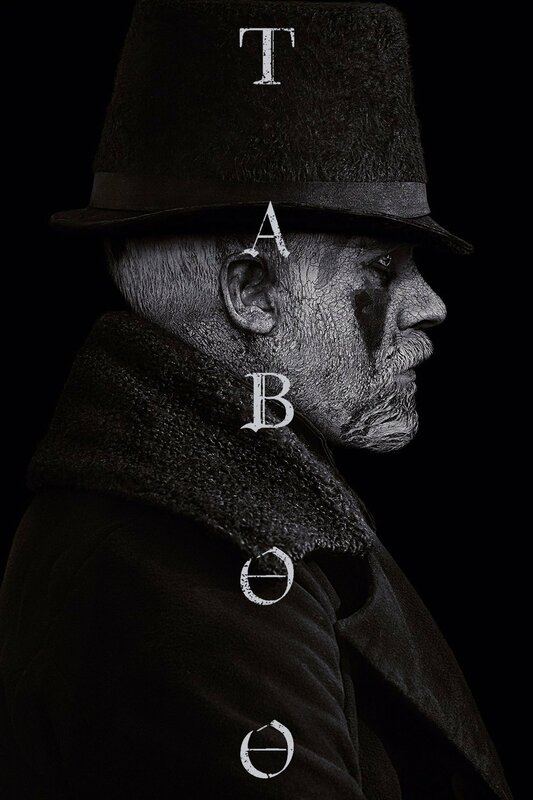 My boyfriend, Tom Hardy, stars in Taboo, my new favorite TV series. Thought to be dead, prodigal son James Keziah Delaney (and yes, the Keziah is necessary, I mean, come on, how cool is that freaking name?!?) returns to London from somewhere in Africa (it’s an entire continent, but they don’t narrow it down) (the show’s still great) upon the death of his father to find that he is the heir to a tiny piece of land that holds access to all the world’s tea and trading with China. Pitting the British government against the evil East India Company, Delaney’s true agenda unravels with a slow, sweet agony that leaves you jittery for season 2. 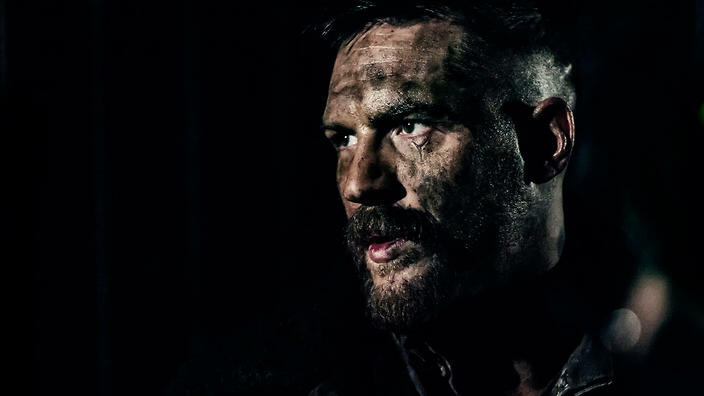 And, TOM HARDY. Unless you have been living under a rock, you have likely heard of the Netflix show called Tidying Up With Marie Kondo. Well, gear up for some fun because this book is what the show is based on. Using a very systematic approach, Marie encourages us to go through every single item we own to decide of it sparks joy from within. I liked the order she asks us to move through the house, saving sentimental items for last. She also has a practical and gentle way of presenting her information. In Tremaris, people with magical abilities are known as chanters. The region in which the chanter is born typically dictates what kind of magic they wield. That isn’t the case for Calwyn. Her story begins when a stranger enters through the Ice Wall of Antaris; she soon discovers that she doesn’t know anything about her past and parentage. An evil chanter is hunting the stranger, and Calwyn must make a hasty decision about where her adventure will begin. Set during the prehistoric age, a young Cro-Magnon girl is torn away from her family after a horrible earthquake. Unable to leave a helpless little girl, a group of Neanderthals take her in and raise her to be one of their own. However, there isn’t a way for Ayla to blend-in. She is just too different from the other Clan members. That doesn’t stop her from trying her best to provide for the Clan in any way possible. Ayla finds her path by learning not to hide her unique differences from the Clan. This book of very short stories (vignettes) is quite amusing. I call your special attention to the chapter about astigmatism. McManus was 14 when he needed glasses. I was about 12 when I needed glasses but never suffered the embarrassment that McManus did. The resolution of his embarrassment is excellent. And there are lots of others. Read it and appreciate it because McManus died last year and there won’t be any more. Captain Jack Aubrey, R. N., arrives in the Dutch East Indies to find himself appointed to the command of the fastest and best armed frigate in the Navy. He and his friend Stephen Maturin take passage for England in a dispatch vessel. But the War of 1812 breaks out while they are en route. Bloody actions precipitate them both into new and unexpected scenes where Stephen’s past activities as a secret agent return on him with a vengeance. “An eleven-year-old boy’s violated corpse is found in a town park. Eyewitnesses and fingerprints point unmistakably to one of Flint City’s most popular citizens. He is Terry Maitland, Little League coach, English teacher, husband, and father of two girls. Detective Ralph Anderson, whose son Maitland once coached, orders a quick and very public arrest. Maitland has an alibi, but Anderson and the district attorney soon add DNA evidence to go with the fingerprints and witnesses. Their case seems ironclad. The sweetest freaking movie you will see in forever. 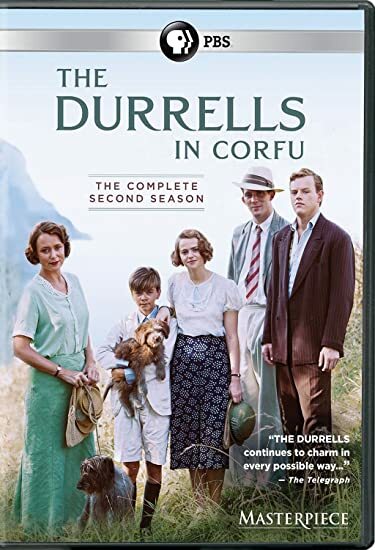 The Durrells in Corfu is a television series (three seasons so far) about a quirky British family who move to 1930s Greece. It’s both wry and heart-warming, with gorgeous scenery and fascinating animals. It’s based loosely on the autobiographical writings of Gerald Durrell (young Gerry here), but has a magical quality as well as authentic-looking period detail. If the first episode hooks you, you’ll want to binge-watch the whole thing, although there may be a couple holds ahead of you. The latest Inspector Gamache mystery does not disappoint. In this installment, Gamache is forced to look at his past decisions and actions, he begins to see his own blind spots and the terrifying things hiding there. 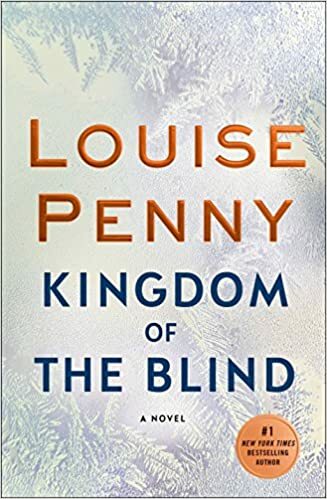 Kingdom of the Blind is a great follow-up to Ms. Penny’s last novel, Glass Houses. What can I say? I LOVE her! She inspires me to be a better person with each and every word. Politics aside, Michelle Obama is an amazing human being. When I grow up, I want to be just like her. In this dystopian novel, the world is a stage, both literally and figuratively. After ninety percent of the population has died, an acting troupe roams from one desolate town to another, attempting to bring back to life a little part of the humanity that continues to dwindle. The characters question how the past will contribute to their future. While grimmer than other titles in the same genre, Station Eleven explores facets of our society that are overestimated and exploited today. 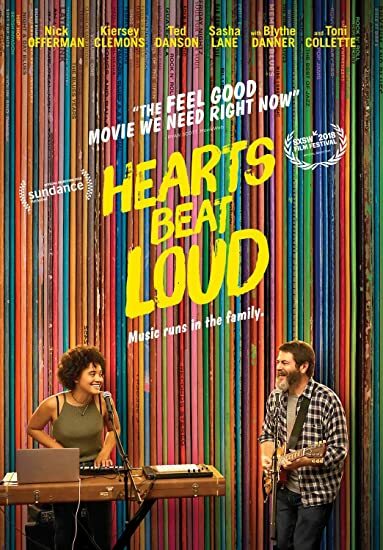 I was pleasantly surprised by this movie. Steve Carell plays a man who is faced with a personal crisis during the beginning of the end of the world. Newly single, he is hoping to find someone before D-Day. This is a quirky romance with funny moments sprinkled throughout! “The world will little note, nor long remember what we say here, but it can never forget what they did here.” Lincoln’s humility in the passage quoted above is stunning and this humility is what sings across the years. Ken Burns’ film, The Address, keeps that “song” alive. The Greenwood School in Vermont is the setting for the film. The school sets memorization and performance of Lincoln’s Gettysburg Address as a challenge for each student. With patience and practice, the boys succeed in mastering the speech. By hearing the words repeated by ordinary young men, we are reminded what the “unfinished work” of democracy really is: to keep building a government of the people, by the people and for the people. The school’s test is the country’s test–are we keeping this ideal of a common purpose alive, are we bringing up citizens who believe in self-government? We watch these kids with learning differences give their all to learn this speech and we see how meaningful the speech can be. Soldiers who gave “their last full measure of devotion” would be proud to place their country in these students’ hands. Some of Ken Burns’ films feel like sentimental propaganda. This one does not coerce our feelings or calm our anxiety about the present with cliche reminders of the past. This film faces the past but looks clearly at the present. The speech helps the boys focus. They will “long remember” what Lincoln said in Gettysburg that day. I recommend this film. Commodore [later Admiral] Anson’s fateful circumnavigation of the globe in 1740’s is the background to The Golden Ocean, Patrick O’Brian’s first historical sea novel. Peter Palafox, son of a poor Irish parson, signs on as a midshipman, never before having seen a ship. Together with his lifelong friend Sean, Peter sets out to seek his fortune, embarking upon a journey of danger, disappointment, foreign lands, and excitement. Also recommended is the DVD. The Stamper family is fascinating and made even better by Henry Fonda, Paul Newman, Lee Remick and Michael Sarrazin. In this novel the Stampers are firmly together against the community and are not universally loved. They are considered scabs. Their attitude is that they are attempting economic survival. There is a final salute at or near the end when there is a salute given to the town on the bank of the river. Very visual moment. Read the book first and then see the DVD.